I was so excited to use the Mister Huey’s Color Mists that I got this weekend at the American Crafts Warehouse sale. They were super cheap and I got 6 various colors. 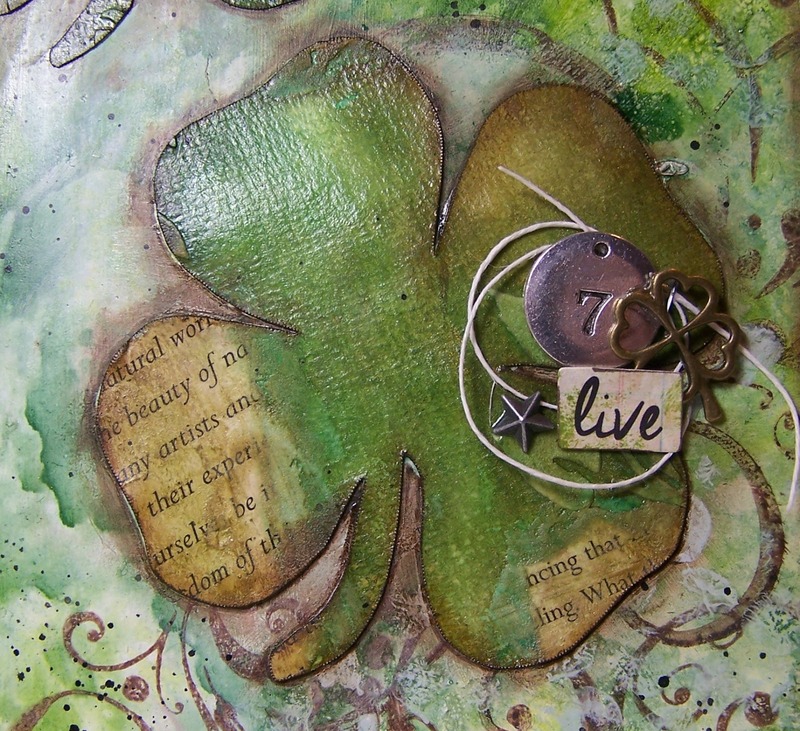 Then last night, at about 3 in the morning, I thought about a half finished journal page that I had sitting around and thought…wouldn’t that page make great four leaf clovers?!? 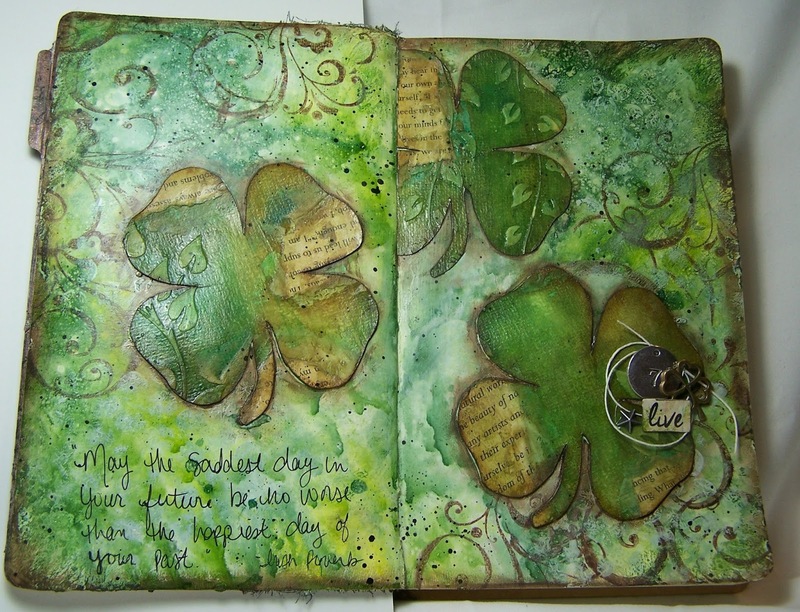 So tonight, I combined the two into a St. Patrick’s Day themed journal page. I just printed a template of a four leaf clover off of the internet and then hacked away at the half finished journal page. Ended up being a great way to re-purpose a journal page that I had lost focus on. 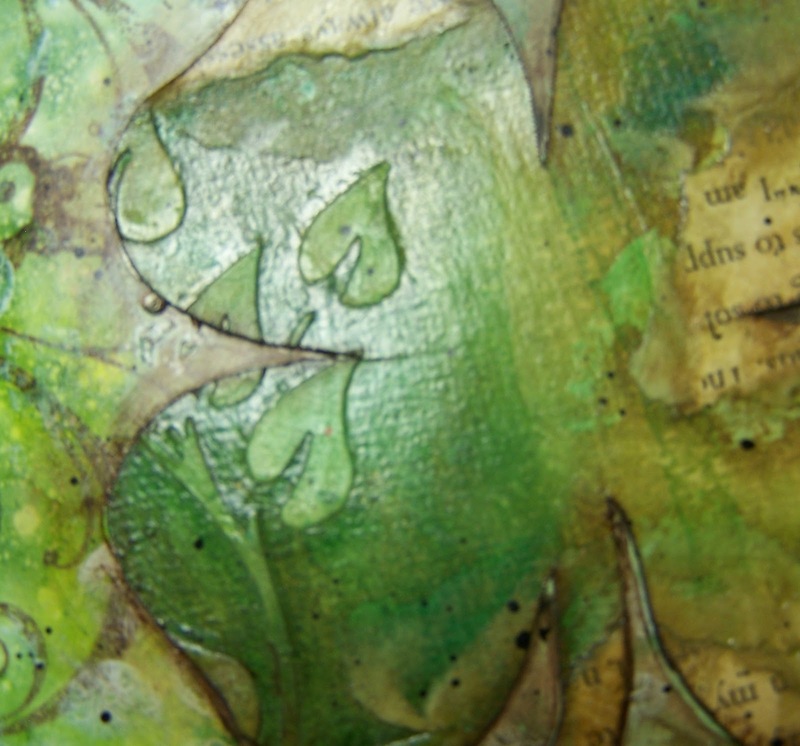 Lots of stencils, stamping, and spray inks on this page…even used bubble wrap to stamp some texture onto the back ground. St. Patrick’s day always makes me think of my late Step-father. He was a wonderful father and was such a major positive influence in my life. Tonight I thought of him as I made this page…which made for a pretty great evening of crafting.